Mixed reality firm Magic Leap has closed a $502 million Series D funding round as it continues to develop its technology. The round was led by Temasek, with new investment from EDBI, Grupo Glob and Janus Henderson Investors. Existing investors such as Alibaba and Google also contributed to the round. The extra funding brings Magic Leap's total money raised to over $2 billion despite the fact that the company has yet to launch its first piece of mixed reality technology. "We're excited to welcome Temasek and the other new investors in this round to the Magic Leap family," said Rony Abovitz, President and CEO of Magic Leap. "We also greatly appreciate the strong support and partnership from our existing shareholders." Rumours had been spread back in September 2017 that Temasek was looking to invest $500 million in Magic Leap. It has also been suggested that the firm's first device could be shipped to a small group of users in the next five months. 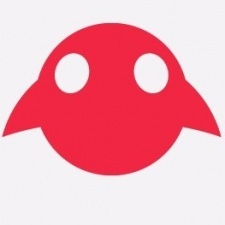 Earlier in October 2017, reports circulated that Magic Leap was looking to raise an additional $1 billion by selling 37 million shares at $27 per share. This would have valued the company at almost $7 billion.